A clamped pipe is a temporary solution to stopping pinhole leaks. Anti-corrosives, including sodium silicates, help provide lasting protection from pinhole leaks. For more than 80 years, sodium silicates have been utilized by municipalities to battle corrosion, a common issue within potable water systems. The first reported experience of employing sodium silicates occurred in 1922 in a small municipality in England. 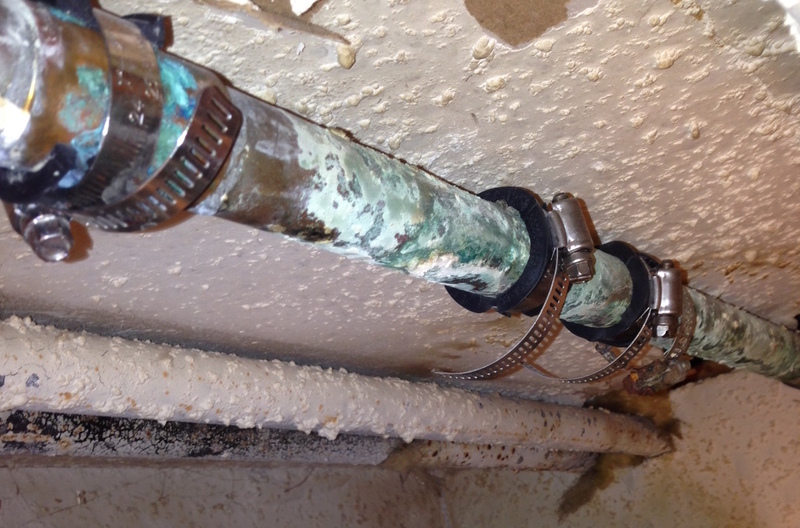 The local water supply caused significant corrosion within the system’s lead piping, leading to a series of health issues. The introduction of sodium silicate into the water system significantly reduced the corrosive effects on the pipes and began the protection of the pipes’ structural integrity. By forming a thin protective layer on the inside surface of metal water pipes, sodium silicates act as a barrier to corrosion, and continue to protect piping systems as long as the treatment is maintained. Sodium silicates not only protect lead and ferrous metal pipes, but also copper, brass, aluminum, and other soft metals and alloys. Over the years, anti-corrosives have been adopted by municipalities, local water supply systems, residential properties, and others to help protect piping systems. Sodium silicates are used safely within the foodservice industry to refine vegetable oils, process eggs and clarify beer and wine. Today, the U.S. EPA requires the use of corrosion inhibitors, including sodium silicates, in some public water supply networks. Some researchers have recommended silicates over other corrosion inhibitors due to its low-cost and environmentally-friendly properties.